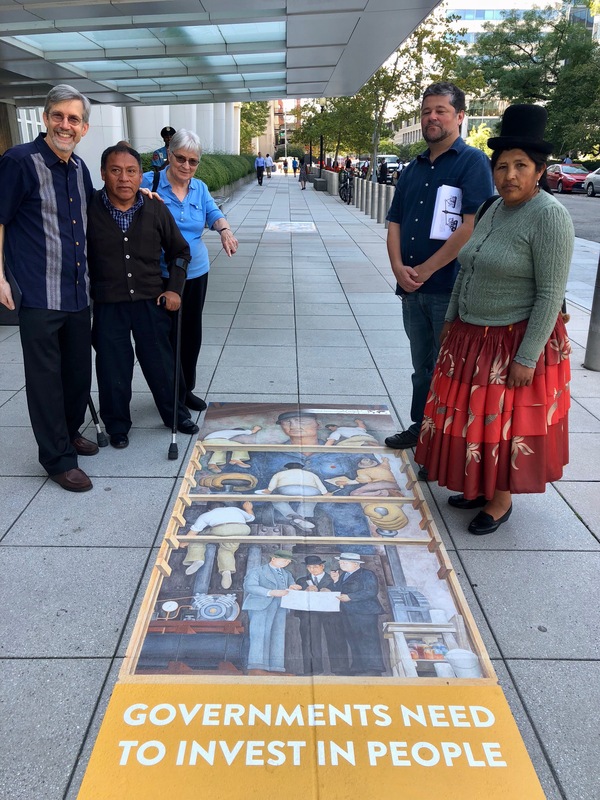 (Cochabamba, Ottawa, Puno, Washington) On Friday October 5th, the Peruvian Supreme Court accepted Walter Aduviri’s appeal and overturned the sentence against him. 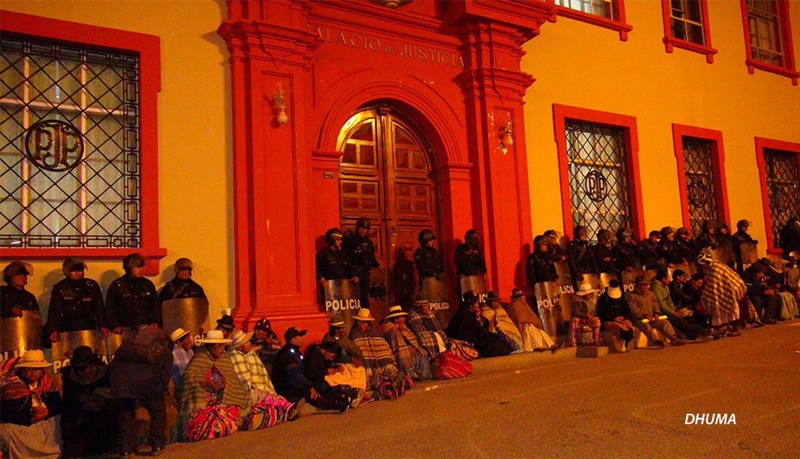 Aduviri was a spokesperson for the Aymara indigenous communities during the 2011 "Aymarazo" protests in Peru against the proposed Santa Ana mining project owned by Canadian company Bear Creek Mining Corporation. The Supreme Court ruled that Aduviri’s appeal was well founded and ordered that the case should begin again from zero in the regional courts. Both local and international civil society groups have been following the case closely because of two dangerous legal precedents in the case that risked weakening the broader movement in Peru for indigenous rights and in defence of water, land and territory. For now, those precedents have been blocked. This was the last in a string of legal cases against community leaders that followed the 2011 protests. Days prior to the court’s decision, Cristobal Yugra Villanueva, Executive Director of Puno-based human rights organization Derechos Humanos y Medio Ambiente’s (DHUMA), warned about the implications of the ruling, saying, "This decision will be precedent-setting for the future of social protest in Peru. It will affect whether or not Indigenous peoples feel free to protest, despite the fact that this right is guaranteed by the Peruvian Constitution." A campaign by local and International organizations has been underway for several months to highlight this emblematic case. 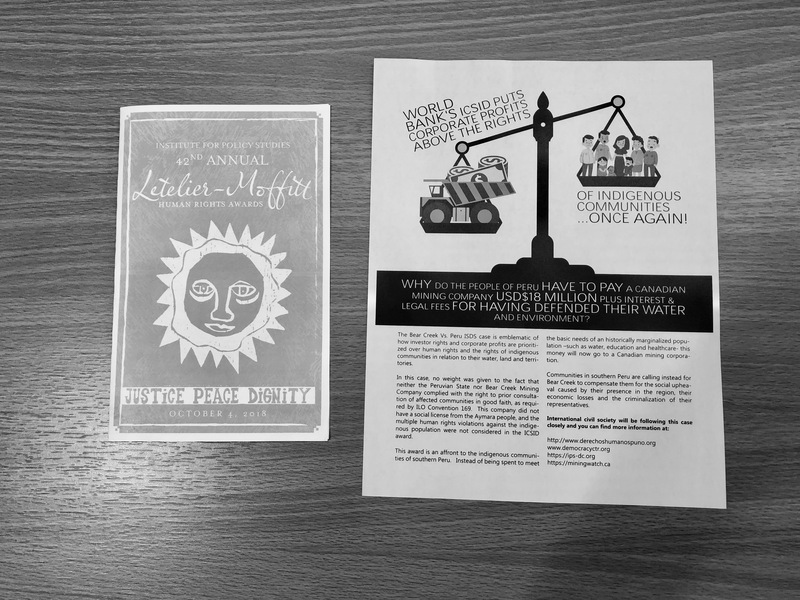 In September of this year, more than 130 organizations around the world signed a public statement condemning the criminalization of social protest and calling for the protection of human rights defenders working in defence of their land, water and territory. The public statement made direct reference to Aduviri’s case and called on the Supreme Court to acquit him of all charges. The pleas for Aduviri’s acquittal appear to have worked. On the morning of Friday October 5th, in the presence of his lawyers, the Court overturned Aduviri’s sentence, freeing him from the threat of immediate incarceration. In the recent judicial decision, the Court has recognized that the criminal proceedings brought in first and second instances before the High Court in Puno were characterized by a clear violation of due process. In the case of Walter Aduviri and the Aymarazo social protests, the judges did not respect the charges originally filed by the public prosecutor, but rather ‘decoupled’ or deviated from these charges and convicted him as ‘indirect perpetrator’. This was illegal and this has been our position since the beginning of the legal process. Lawyers at DHUMA have accompanied many of the other Aymara community members that faced judicial persecution following the Aymarazo protest. 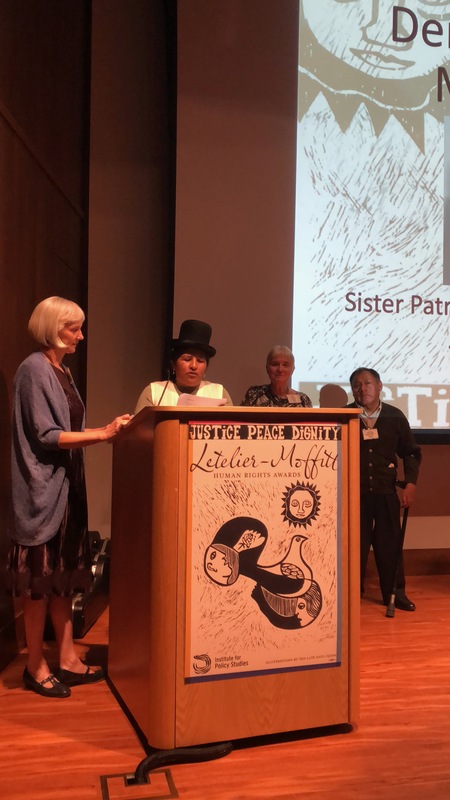 Their relentless work in defence of the rights of Indigenous communities in Peru was recognised just last week when their representatives received the prestigious Letelier Moffitt international human rights award from the Institute for Policy Studies in Washington DC. Bear Creek Mining Corporation, after the Aymarazo, also filed a multi-million dollar compensation claim against Peru at ICSID, the investment arbitration arm of the World Bank, for the cancellation of the Santa Ana mine. In December 2017, the same month in which the courts of "justice" condemned Aduviri, ICSID ruled in favour of Bear Creek and ordered Peru to pay more than USD$30 million in compensation, including legal fees and interest. Local community members have been calling for the compensation not to be paid but rather for communities to be compensated for the economic losses and social upheaval caused by the presence of the mining company. This debate will continue in Peru in the weeks and months ahead. On October 7th, 2018, Aduviri was elected as governor of the department of Puno. Up until just days before to the election, Aduviri was the favoured candidate but it was unclear as to whether he would able to run in the elections. The Supreme Court’s decisions enabled his participation.